Aerodynamic contours, frameless windows, a striking rear design – the Arteon's allure endures far beyond the first encounter. And the R-Line package features additional exterior highlights that emphasize these dynamic elements. The Arteon's elongated contours and long wheelbase give it a highly distinctive profile – and an abundance of space wherever you are seated. The wrap-around emcompassing hood and frameless side windows are especially eye-catching and exude quality and elegance in the style of a classical fastback limousine. The Arteon lettering on the rear holds out the promise of more; it is guaranteed to turn heads and leave a lasting impression. The modern LED taillights are a token of the Arteon's potency and outstanding dynamic range. Frameless side window. Infinitely impressive. You won't just look good in the Arteon, you'll also enjoy amazing views out of the frameless side windows. They don't just typify the Arteon as a fastback but also very discreetly underline its elegant appearance. Lean back and enjoy the exquisite interior with its exclusive materials and comfort. Standard seats in Nappa leather and a driver's seat with electrical 4-way lumbar support and massage provides particular comfort, even on longer journeys. Multifunction steering wheel and Volkswagen Digital Cockpit. The multifunction leather steering wheel lets you stay in charge of the vehicle and your information while on the move. And with the innovative Volkswagen Digital Cockpit, content such as rev counter, speedometer and mileage indicator - even detailed data on the trip and the various driver assistance systems - are arranged in your direct line of sight at the heart of the dash display. Spacious trunk with EasyOpen and EasyClose functions. In the Arteon, comfort and convenience begin even before you set off. The trunk is generously proportioned by fastback limousine standards. And thanks to the EasyOpen, EasyClose functions, a flick of the foot under the rear of the vehicle is all it takes to unlock the electric hatch. The time-delayed electric closing function means you can close the luggage compartment at the touch of a button, leaving you free to load and unload at your leisure. Attention to detail: the Arteon offers premium design as well as driving pleasure. It leads the way in terms of the latest driver assistance systems. The optional Park Assist manoeuvres you elegantly into your parking space. All you have to do is operate the accelerator and the brake. The system takes care of the rest. The "Rear View" reversing camera lets you reverse while looking forward. It conveniently lets you see the area behind the vehicle on the display of the radio or radio-navigation system to cautiously approach obstacles. *Base MSRP of a new and unregistered 2019 Arteon 2.0L 4MOTION AWD Execline with automatic transmission is $49,820, including $1,725 freight and PDI and $100 a/c levy. License, insurance, registration, any dealer or other charges, options, environmental fees and other levies, and other applicable taxes are extra. Dealer may sell for less. 2019 Arteon 2.0L 4MOTION AWD as shown is $50,315 with with optional Kurkurma yellow. Dealer may sell for less. Dealer order/trade may be necessary. 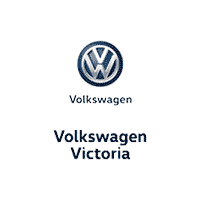 Visit vw.ca or Volkswagen Victoria for details. "Volkswagen", the Volkswagen logo and "Arteon" are registered trade-marks of Volkswagen AG. © 2018 Volkswagen Canada.